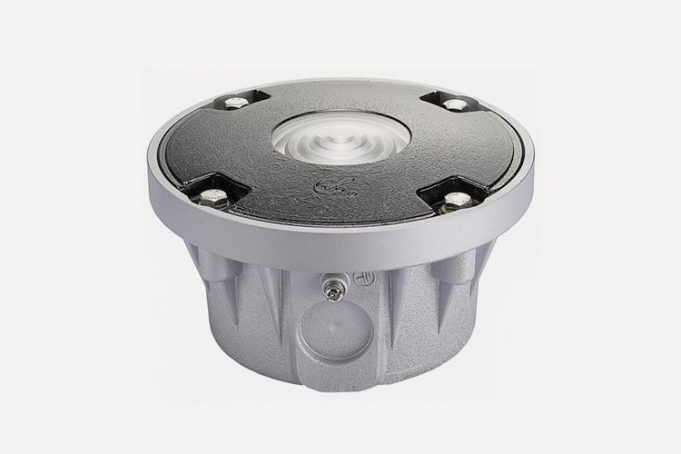 The LAPL-100 helipad aiming point light is a steady burning white inset light emitting omnidirectional green light at night or in the day with low visibility. This is done to show an accurate loading point when loading a helicopter. The LAPL-100 helipad aiming point light is a steady burning white inset light. Emitting a omnidirectional white light at night or in the daytime with low visibility to show the accurate loading place for loading a helicopter. It is controlled by a switch in the heliport control cabinet. The light is made of aluminium liquid casting and oxidation treatment. Light source adopts the international advanced LED featuring low power consumption, high efficiency resulting in the light source lifespan reaching 100,000 hr.. The light with surge protection device (In 7.5KA/5 times, Imax 15KA) can be used in a harsh environment.